Why, you ask? Because in fantasy, you aren’t just creating characters and events and placing them into the world, you’re creating the world! In a contemporarily set novel, off handed comments or cultural context can be nonchalantly thrown in to spice up the novel and make the story feel authentic; like your characters live in the world they are inhabiting. Whenever these references are required, the author need only consult his own experiences of the world and draw from them accordingly. In a fantasy, all of these references and off handed cultural context must be created on top of the primary story and character development you are already writing. Let me give an example. Let’s say that we have a character that, for the purpose of our narrative, needs to purchase something from a store. In a contermporarily set novel, we might decide to have our character purchase the desired product at a mall. 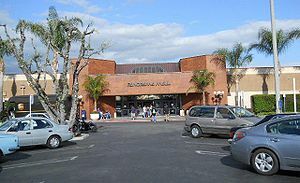 Well, as mall frequenter ourselves, we know what an average mall looks like and so do our readers. It’s Christmas time, so our mall has a huge Christmas tree erected in its central square and every shop advertises their Christmas sales. We can imagine that our character purchased the item from a shop situated between a fashion shop, let’s say Pac Sun and a high end electronic store, why not Apple. We can make a pretty good guess as to the kind of small talk that goes on between the shoppers and cashier. We can make the cashier a college student working over the holidays to pay his tuition and decide that he really doesn’t care that much about his job or the quality of work that he is doing. Our hero pays for his item using his Amex gold card because he is collecting points to put towards that trip to Hawaii he’s been wanting to take for five years. All these little details can be thrown in off the top of our head and the reader will readily believe it, because they too have been to a mall and shopped at the store between the Pac Sun and Apple store. With fantasy, all of these details must be created, must be consistent, and must feel authentic to the world that the author has created. What does a market look like in this world? What kind of things are sold at this market? What time of year is it, and how does this change the look of the market (Which then leads to the bigger question of how our fantasy inhabitants measure time i.e. months, holidays etc.)? What kind of individual sells wares at our store? What type of money is used to purchase the item? The list goes on and on, and this is just for one scene. Really, before a single page of a fantasy novel can be written, a detailed encyclopedia of people, places, events, legends, and various other cultural intricacies must be hammered out in order to create an authentic world to tell your story in. This is why I have always put off my pet project despite having a very detailed outline of the novel for years. I even have the main storyline for the second novel completed. Despite all this, I had to wait until I had created a consistent world in which to tell my story. I had to create a map, so I knew where locations were in relation to others. In order to make it authentic, I even have to create locations that I may not ever actually visit in my novel; places my characters know about even if they are of no real importance to my tale. 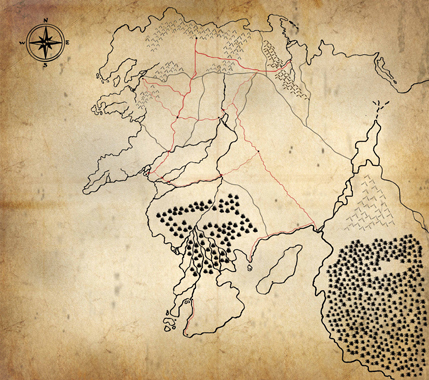 An unfinished first look at my fantasy map! I’m creating languages and governments, histories and famous inventors, animals and regional climates, everything and anything that my characters might know or interact with. It’s a lot of work. I’m finally making headway on my encyclopedia. It’s exciting. It’s the most challenging thing I’ve ever written. It’s why good fantasy is the most difficult genre to write.